Sip and savor small-lot wines in the heart of downtown Healdsburg at Stark Wine Company's popular tastings. This local winery produces Rhone and Mediterranean-inspired wines, with grapes sourced from organic and sustainable vineyards throughout Sonoma, Mendocino and Santa Barbara counties. Founded in 2003, the winery offers exceptional bottles of Grenache Blanc, Grenache, Syrah, Viognier, and red wine varietals. Stark Wine Company is open every day from 12PM to 6PM for tastings, except for Tuesday. You'll also find live music on Saturday nights fro 5PM to 7:30PM. Stark Wine Company is located at 439 Healdsburg Avenue, just two blocks north of the main plaza and one mile away from our unique, Tuscan-style hotel. Stay with us and experience the very best of California wine country. Charming and beautiful, our comfortable hotel features flower-filled courtyards, trickling water fountains, and a relaxing atmosphere. Enjoy premium amenities including free continental breakfast, wine tasting events, and seasonal yoga classes. Relax in two sparkling outdoor pools, two hot tubs, steam room, sauna and fitness room. Unwind in a well-appointed room, suite or villa with free Wi-Fi, flat panel TV and plush bedding. We're situated minutes from 150 world-renowned wineries, dining options, culture, and outdoor activities. 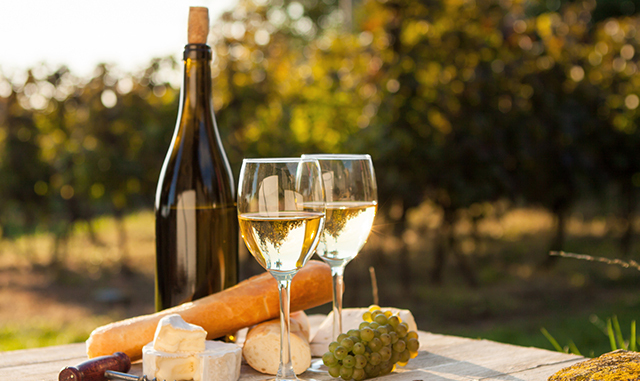 Do you have questions about Northern California wine tasting events? Would you like to know more about our one-of-a-kind hotel? Please don't hesitate to contact us directly by calling 1 (707) 433-0300 for more information, and to book your reservations. Plan your California escape today, and enjoy the vacation that you deserve.